This advanced Loan Calculator program calculates the Monthly loan payment, Loan Amortization Table, Loan Payoff Amount With Additional Payments with many different options. Please note that this calculator can be used for any types of financing businesses such as car payment, house payment and other loan payments. However, please note that for real estate mortgage payments, other payments might be needed such as HOA (Home Owner Association) fee, Mortgage insurance (MIP or PMI) fees, Membership club fees, special Tax assessments fees, etc. 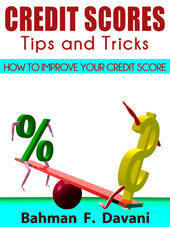 Loan Amount: is the final amount that lenders pay to close the deal. This amount could be Purchase price + all closing costs associated with the transactions (e.g., Tax, Insurance, etc) Minus Amount of Down Payment. Property Tax rate, in %, is the amount of tax for each $100 of the property's assessed value. So, for example, if a property tax rate (city + county + school + college + hospital tax rate) for each $100 value is 2.25% and the property assessed value is $200,000, total property tax in a year is ($200,000/$100) * $2.25 =$4500 per year. Insurance rate, in %, is the Annual premium divided by the total value of the house. So, for example, if the insurance premium for the above property is $800 per year, then you need to put 0.4 in the mortgage calculate ($800/$200,000=0.4%). Click here to see your mortgage amortization table and also see what happens if you make additional payments at different times during the life of the loan.